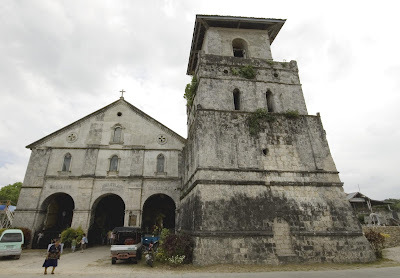 A Bohol visit isn't just complete without a stopover at Baclayon church, the country's oldest standing church (it predates the Manila Cathedral by almost 10 years; while the Manila Cathedral was constructed ahead, it was rebuilt later). Trivia: the church was built with egg whites mixed with limestone. Annie Feleo's travel book theorized that with all egg whites used, the Pinoys figured out a way not to waste the yolks by concocting yemas and leche flan. 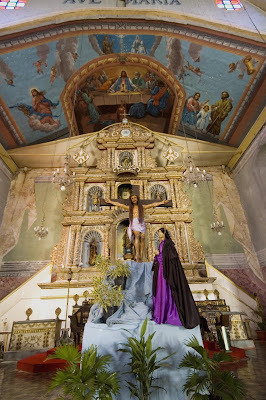 I've been to most of the Bohol churches, but your photos made me feel like going there again, because now i feel like i've let those opportunities unmaximized. Ganito na lang: Bakit ba hindi ko sila na-capture ng ganyan! Grrr!